Send your warmest wishes for the holidays with this florist designed centerpiece. Lush winter greens are accented with red hypericum berries and white frosted pine cones with a red taper candle in the middle of the arrangement. 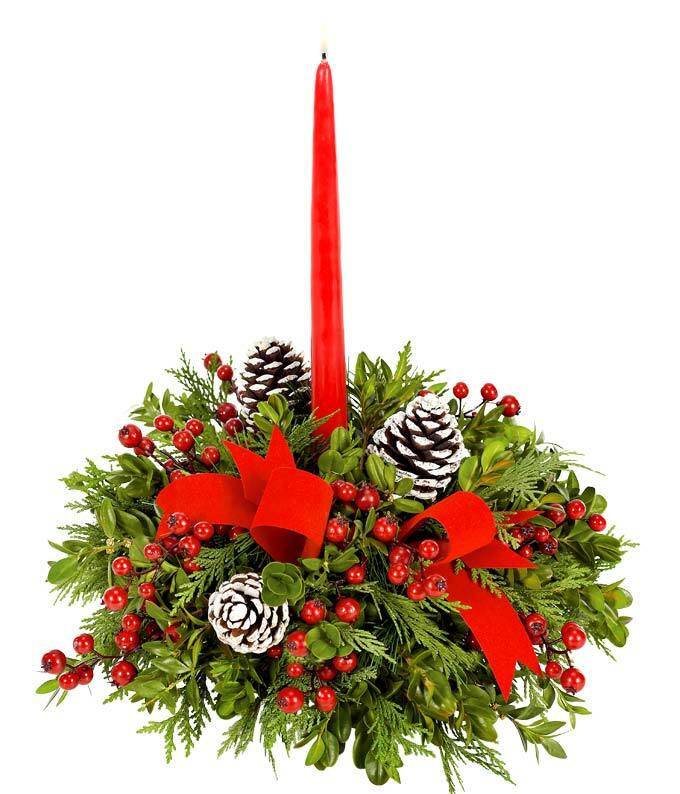 Delivery for the same day, the Merry Christmas Centerpiece will be a gorgeous addition to any table.